Herman Miller Inc. has acquired a number vibrant and independent brands over the years. We were tasked with creating a centralized communication platform that preserved each brand's unique character. 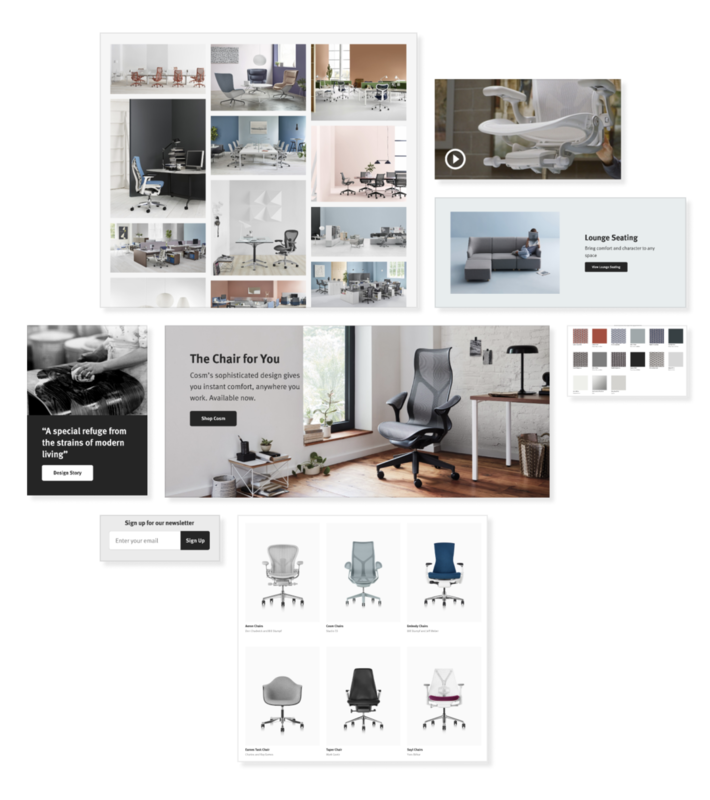 Fortunately, we had created a pattern library of UX components and the beginning of a design system for the redesign of HermanMiller.com. An update of Geiger provided a chance to expand that to other companies in Herman Miller's family of brands. To explore this capability, we conducted user research, design sprints and hosted story mapping workshops. After successfully pitching the concept to corporate and brand leadership, we were off to the races. 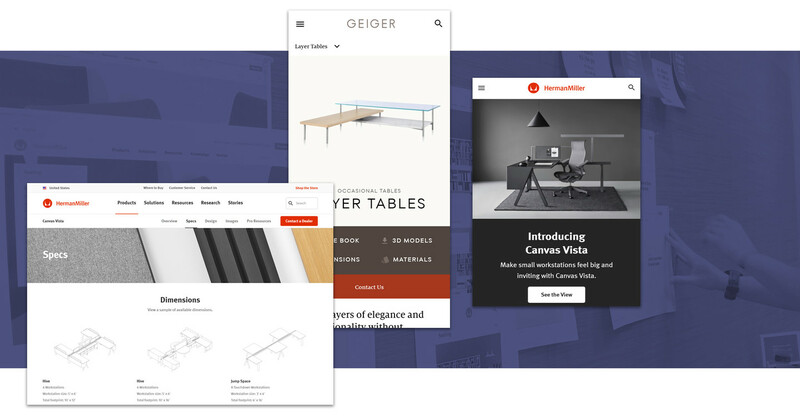 We updated and standardized UX patterns and created an aesthetic for Geiger that matched their premium and bespoke product offering.